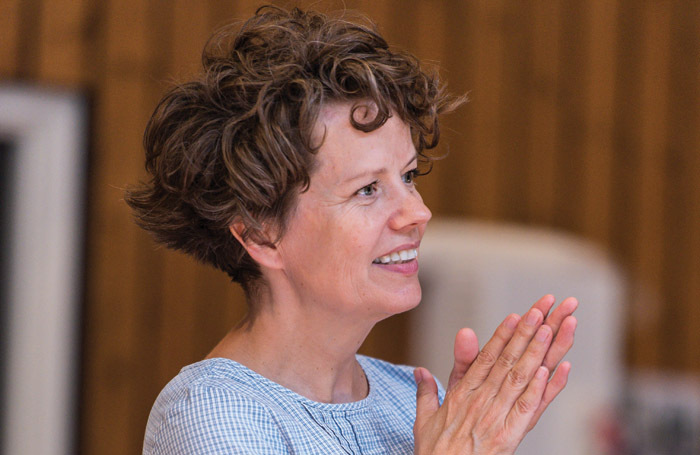 Almost imperceptibly, Sally Cookson has moved to the front ranks of theatre directors working in the UK today. She has done so, in recent years, through a pioneering style of devising work from novels – respecting the spirit of the original, but creates its own distinct vision on stage. Since 2011, three of her rigorously devised shows have travelled from the Bristol Old Vic , where she is an associate artist, to the National Theatre. First, Treasure Island , which arrived on the South Bank in 2014, then Peter Pan  two years later. 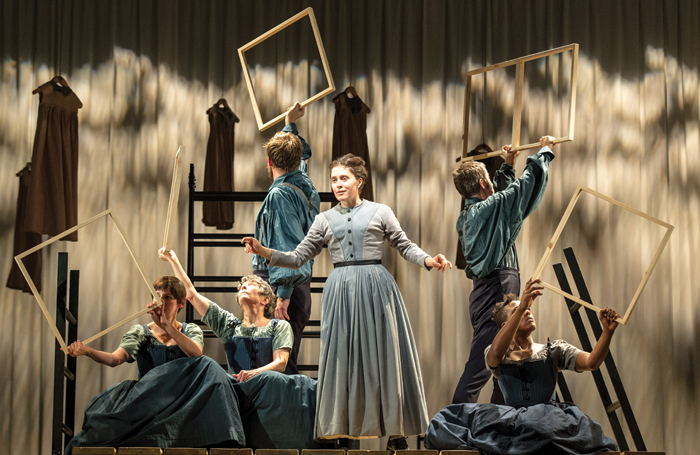 Her highly acclaimed Jane Eyre  first came to the NT in 2015 and returned last year. Her next project is the world premiere stage adaptation of Patrick Ness’ novel A Monster Calls at London’s Old Vic. The show originated in a Bristol workshop more than 18 months ago and was recently previewed at Bristol Old Vic. At the same time, We’re Going on a Bear Hunt  – based on the children’s book by Michael Rosen and Helen Oxenbury – which she created 10 years ago returns to the West End’s Lyric. Theatrical versions of existing stories have become an artistic signature for the director. “It certainly has been for the last few years and I’m not sure how it happened,” she says, in a lunch break from rehearsals in a school in Bermondsey, south London. After reading the book, Cookson was hooked. “I thought: ‘I’ve really got to do this and make it into a piece of theatre’.” It was while she was mulling it over that Old Vic artistic director Matthew Warchus got in contact about potential projects. First published in 2011, it tells the story of a 13-year-old boy Conor, who is faced with his mother’s terminal illness. Then one night, he is woken by something at his window: a monster has come walking. It has come to tell Conor tales from when it walked before. And when it has finished, Conor must tell his own story and face his deepest fears. The subjects the novel cover have universal resonance, which Cookson found when discussing it with the company. “We all have experience of this, of not being able to talk about things we need to. The subject matter is close to a lot of people in my company, we are all affected by terminal illness,” she says. This production hopes not to “ram a message down the audience’s throat”, but be part of that discussion. While stories such as Treasure Island and Peter Pan are well known enough for audiences to bring their own knowledge to them, A Monster Calls is different. “We’ll be introducing a lot of people to this story and that’s exciting, but we are turning a book into something different, and that’s important too,” says Cookson. The stage plays evolve from a long process of improvisation and discussion. 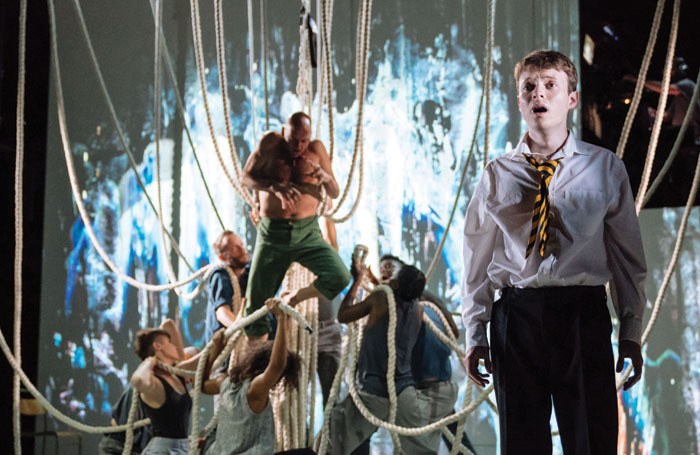 During the preliminary workshops for A Monster Calls, Cookson says, “We didn’t rehearse it, but tackled some of the big challenges, such as how we are going to interpret a tree on stage. The workshop also provided a starting point for the design and music. “Benji Bower, our composer, could start working on themes, and the designer Michael Vale could start thinking about how he was going to present it aesthetically,” she says. When we meet during the rehearsal period, the bulk of the writing is happening. At this point, Cookson is starting the sixth and last week of London rehearsals, before going to Bristol for techs and previews. “The process is not as long as I’d like it to be, I’m never given enough time,” she says. At the age of 15, I worked in Boots on a Saturday. Working as an understudy and assistant stage manager for David Wood and his Whirligig company on a 24-week tour of The Owl and the Pussycat. Don’t feel you have to follow a particular method or anyone’s process. Find your own way. My mum – she was an actor before she had a family, but she made me believe in myself, encouraged my passion and allowed me the freedom to do what I wanted. If you hadn’t been a director, what would you have done? I would probably still be a struggling, not very good, actor. Absolutely none. I’m not superstitious. As for rituals, I often feel I’d like not to be there on press night, and I’m tempted to walk out when the show starts, but I’ve never done it. After LAMDA, she began acting. A decade after graduating, she moved to Bristol to take up a job in the ensemble at Bristol Old Vic, recruited by then artistic director Andy Hay in his first season. • Know what is happening in the world. • Watch films – don’t feel you just have to watch theatre. • Find out what is going on in popular culture. “While I was there the youth theatre was disbanded for lack of funding, and I was affected,” she says. “Youth theatre was a massive part of my teenage life, so an actor friend, Heather Williams, and I went to Andy and asked if we could use the studio theatre when it was dark during the summer to try to revive it.